An easy and effective way of collecting large quantities of nails, screws, bolts and any other ferrous metal items in order to keep work areas clean of dangerous ferrous metal. Quick load-release handle clears the collected metal. 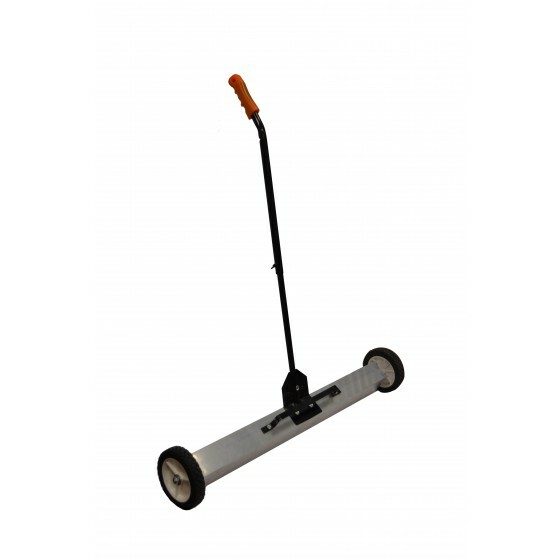 This sweeper is perfect for busy workshops, garages and construction sites.